Our Spanish subsidiary, STI Glonet, located in Madrid, offers an import groupage service for frozen and chilled products, from The Netherlands and Belgium to Spain and Portugal. 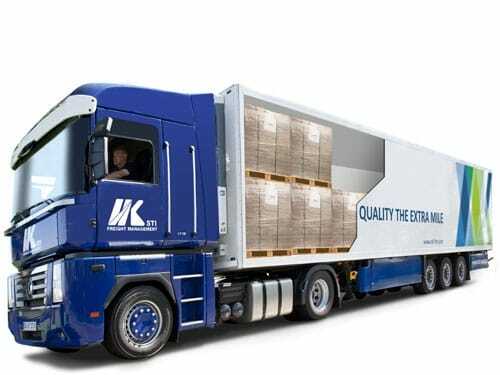 It is a scheduled service especially developed for shipments of frozen and chilled goods, from 1 to 6 pallets, with fixed departures on Tuesdays and Fridays with guaranteed delivery in a maximum of 3 days in Madrid and Barcelona. From there, shipments can be re-dispatched to any point in Spain and Portugal with delivery in 24 - 48 hrs. The operation of the service allows our customers to monitor their shipments online via our tracking APP throughout the entire journey, allowing them to know both the location and the temperature of their products. To ensure the service, STI relies on the logistical support of its parent company, HAVI, for the use of its distribution centers and vehicles for cross-docking operations and for last mile collections and distribution, thus granting maintenance of the cold chain. The distribution centers are located in Amersfoort (The Netherlands), Daganzo and Esparraguera (Spain) and Azambuja (Portugal). STI Spain also offers a door to door groupage service for frozen products from Barcelona to Belgium and the Netherlands, with weekly departures on Fridays. MONITORED TEMPERATURE CONTROL ALL THROUGHOUT THE JOURNEY.